Among other organizations, he headed CIVICUS, an alliance for citizen participation. 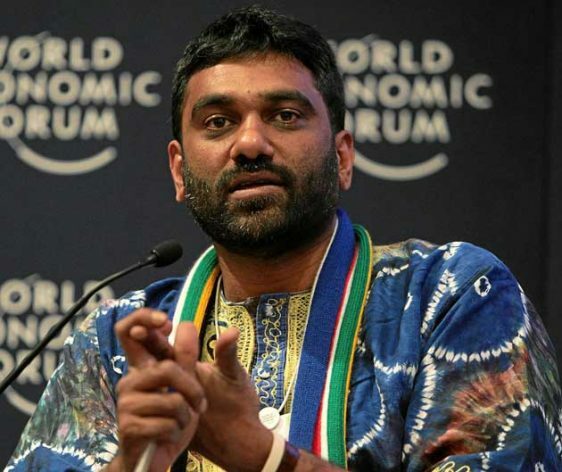 It was at the International Civil Society Week (ICSW), organized by CIVICUS in Fiji in December, that Naidoo spoke out on youth and innovation. “My advise for young people is: don’t put any faith in the current leaders. They are the biggest bunch of losers you are going to find. Because they are unwilling to accept that they have got us into this mess,” says Naidoo. “Basically, we are using old solutions that have never worked in the past anyway,” Naidoo contin-ues. How can young people steer the planet away from insanity? Can local innovation change the whole world? You have been a vocal critic of global bodies like the World Economic Forum. You proposed a system re-design. What do you mean by that? This article is part of a series about the activists and communities of the Pacific who are responding to the ef-fects of climate change. Leaders from climate and social justice movements from around the world met in Suva, Fiji, 4 December through 8 December 2017 for International Civil Society Week.